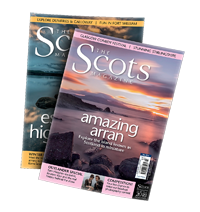 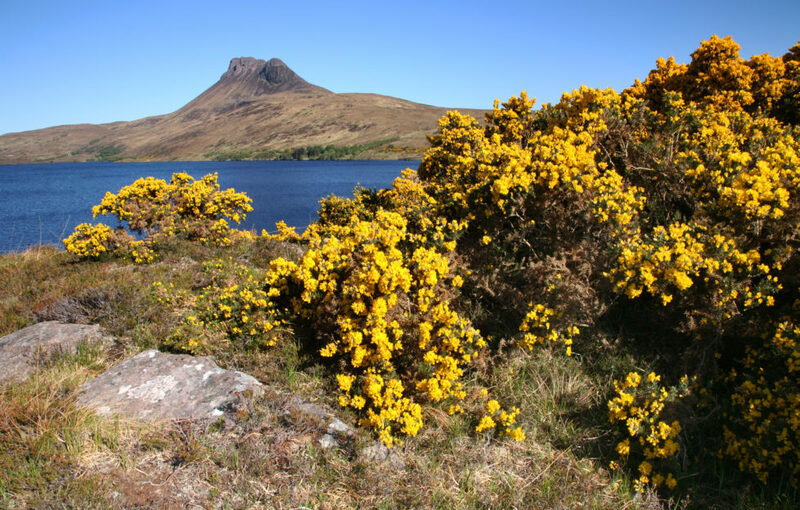 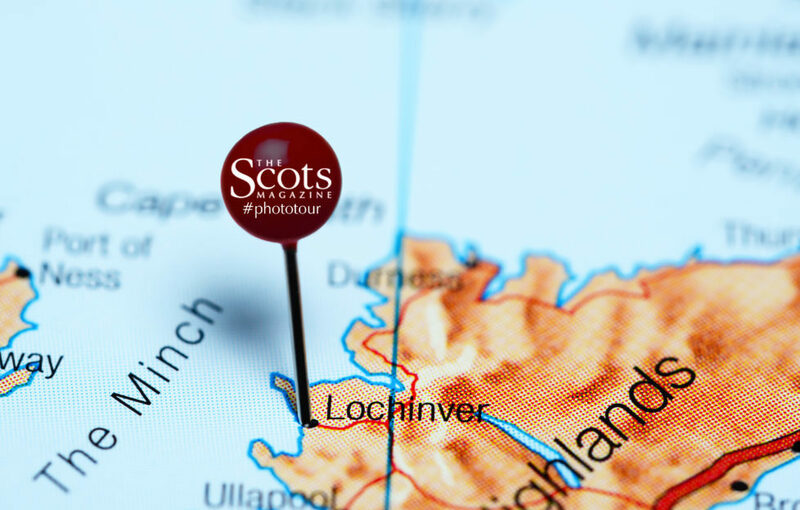 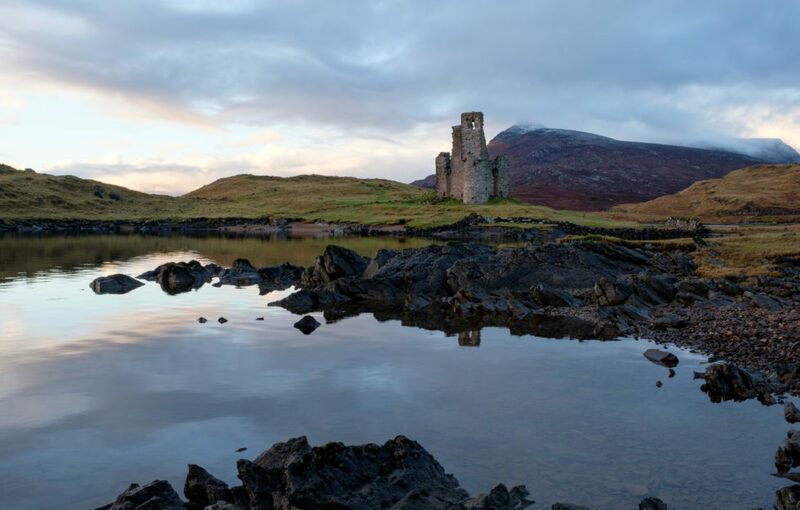 With isolated, idyllic beaches; jagged mountain ridges; and miles of sweeping, unspoiled countryside, Assynt is hard to beat. 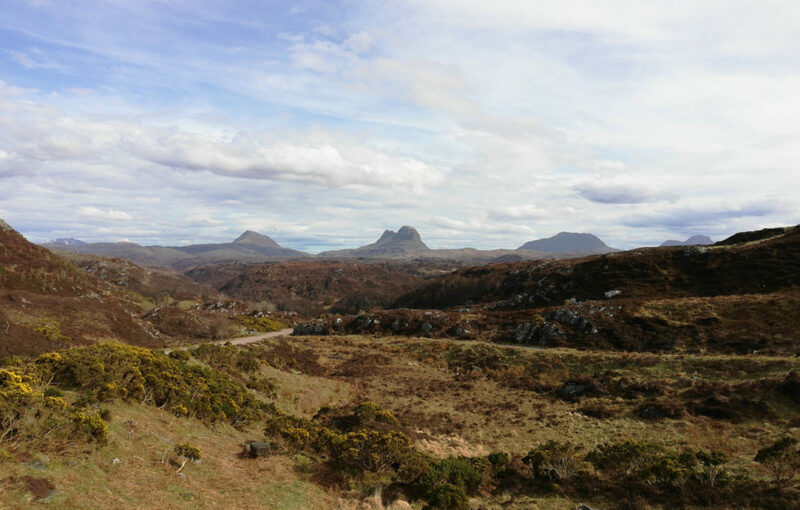 In the south-west of Sutherland, just to the north of Ullapool, Assynt, makes the long journey to get there worthwhile. 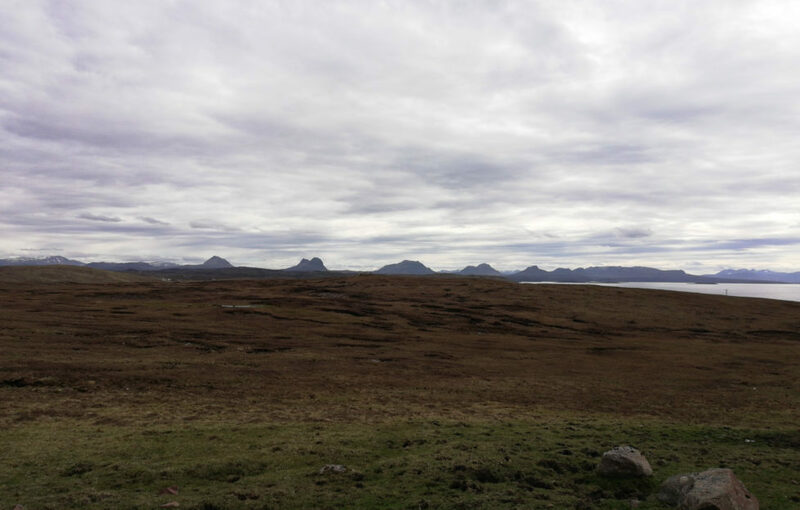 Looking back from Stoer to Canisp, Suilven, Cùl Mòr, Cùl Beag, and Stac Pollaidh, and Torridon in the distance. 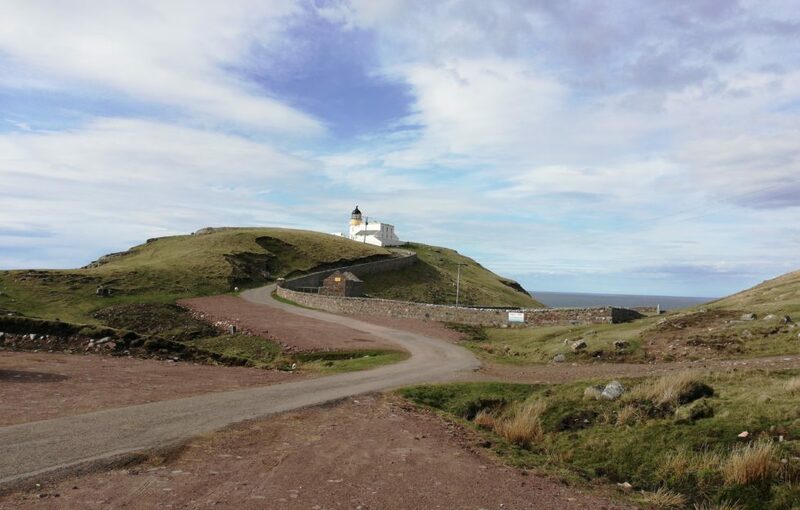 Stoer Point Lighthouse can be rented as a holiday flat. 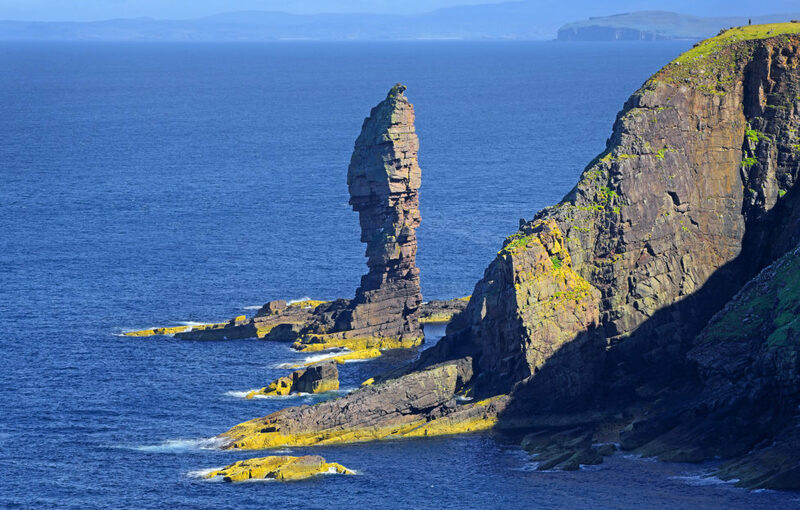 Just up the track from the lighthouse you’ll find The Old Man of Stoer – not to be confused with the Old Man of Storr on Skye! 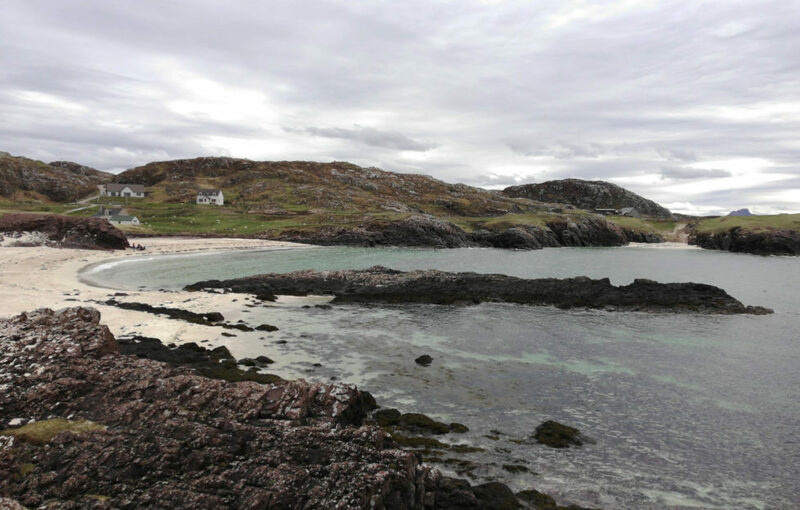 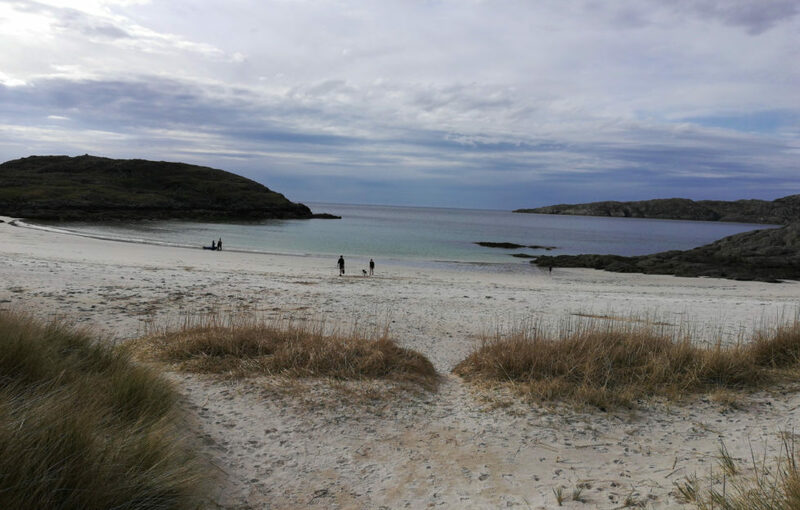 Clachtoll campsite is mere yards from this perfect west coast beach. 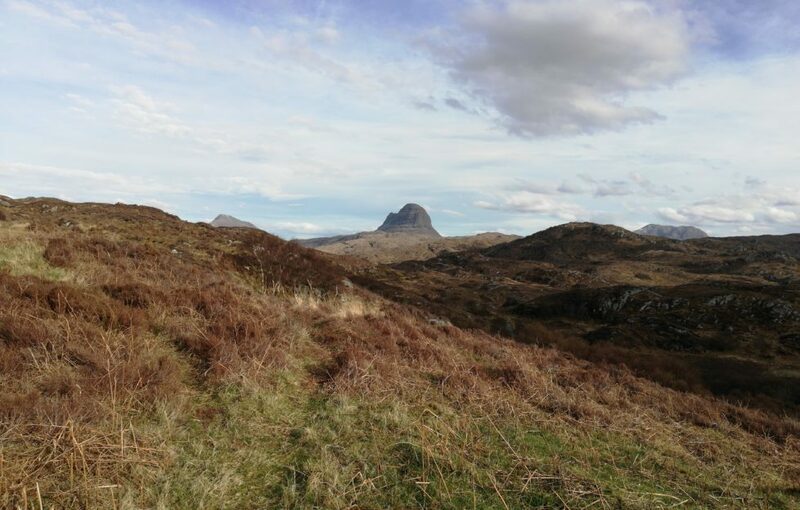 Stac Pollaidh cuts an impressive figure from a distance. 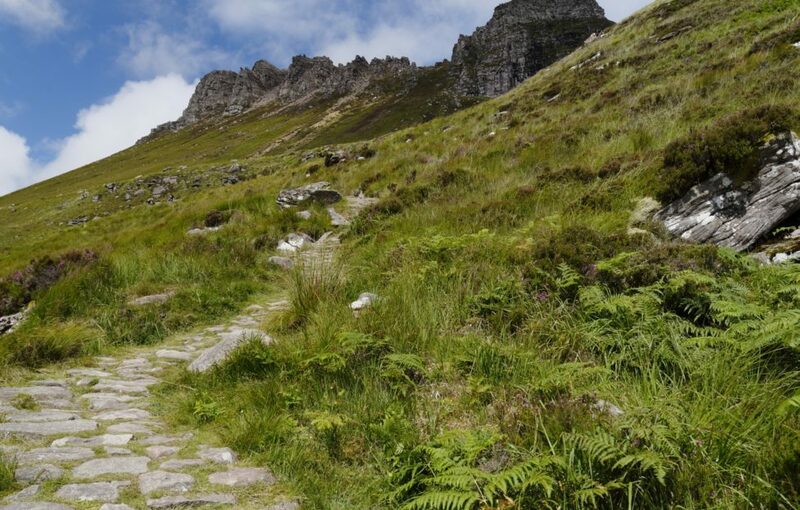 … and up close its sharp, pinnacled ridge becomes more defined. 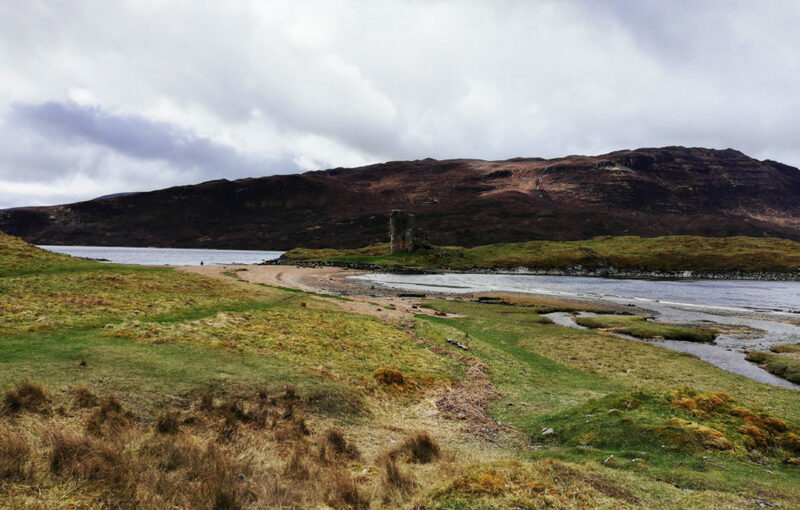 The road to Lochinver curves round the Castle and Loch Assynt. 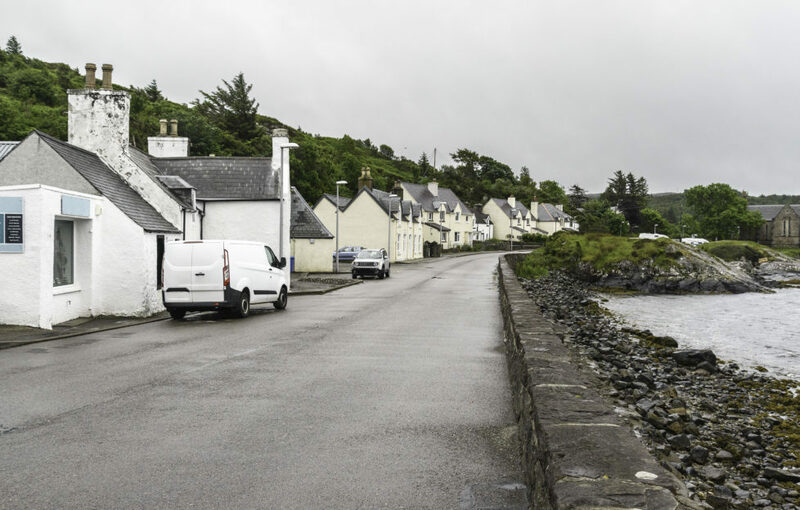 The houses in Lochinver all sit on the west side of the road, to take advantage of the amazing views out to sea. 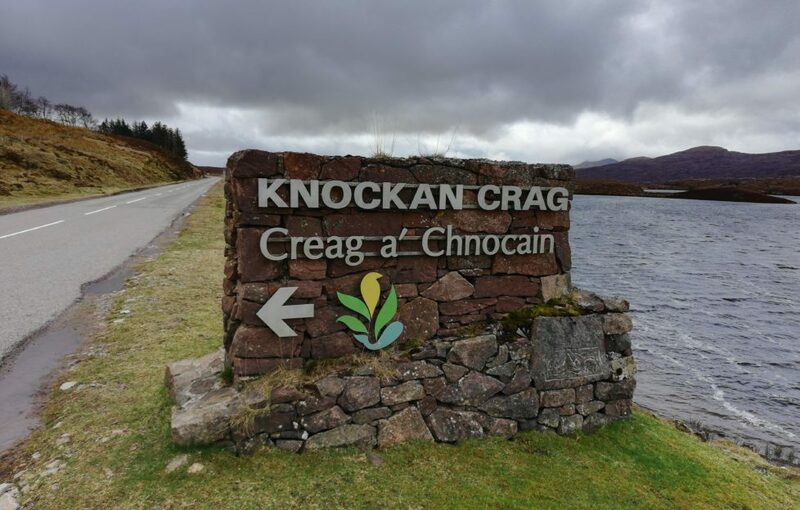 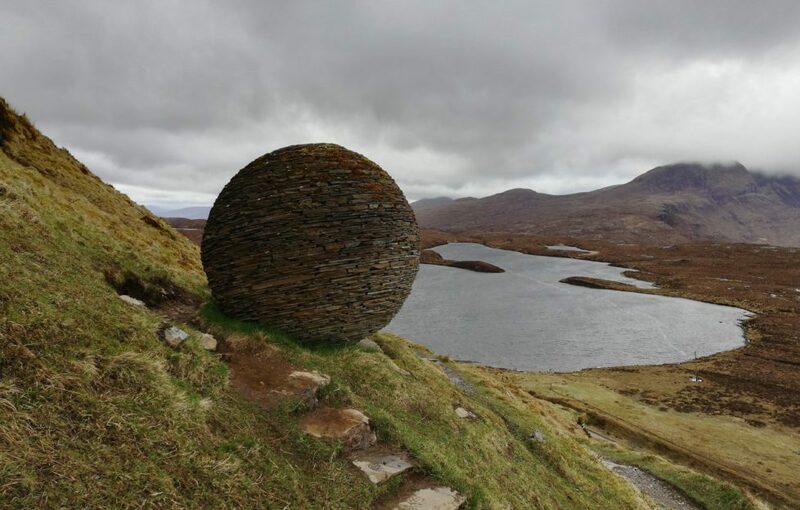 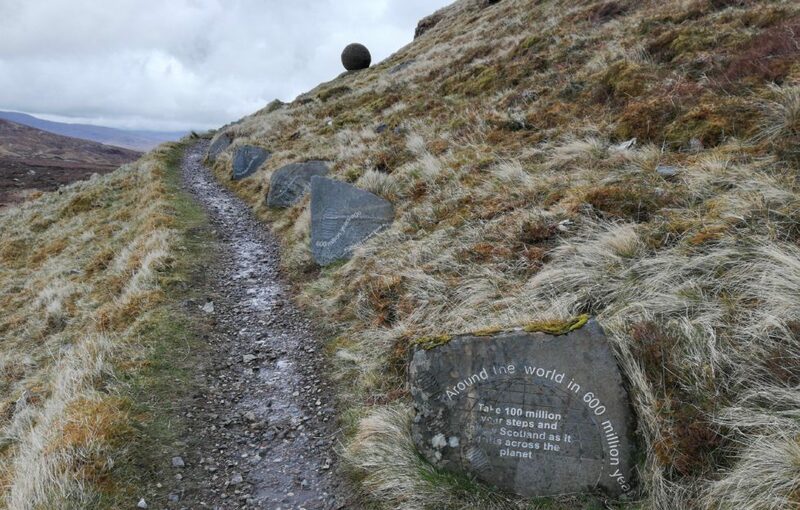 Don’t miss Knockan Crag Visitor Centre, a free exhibition and trail exploring the geology of the region. 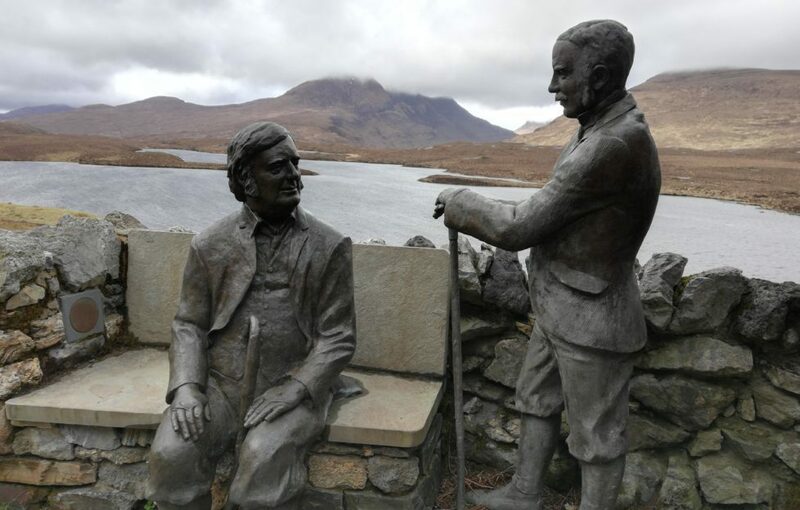 Ben Peach (left) and John Horne, the geologists that put Assynt on the map with their discoveries.